I began work as a faculty member in the Department of Electrical and Computer Engineering at the University of Detroit Mercy in August 1996. I am also a Sister of St. Joseph (Baden, Pennsylvania). I know, it's an unusual combination. You may peruse my curriculum vitæ (CV) if you are interested in what I do professionally. Check out my blog (published since December 2006), nunsuch - the adventures of a techie nun. After some serious prayer and discernment, I have decided to make myself available for dean-level positions in engineering for searches to take place during the 2011-12 academic year with a starting date in 2012. To that end, I have undertaken a project related to Core Curriculum Assessment to hone my leadership skills. See my recent paper (with co-authors Zarkowski and Roberts-Kirchhoff) in the Proceedings of the 2011 ASEE Annual Conference to see the starting point for this ambitious effort to effect a change in institutional culture. It is clear to me, if not yet to many other sisters, that the form of religious life as we have known and lived it is not the thing many of this generation are looking for, despite our best efforts to find contemporary expressions of our commitment. (I am not as familiar with the trends facing men's communities.) I still believe there is a place for vowed religious life in the Church and that there will always be some people who are called and who want to respond with that total and perpetual self-gift of their lives to God in consecrated celibacy, but I think this is also an exciting time for dreaming possibilities of new forms of "religious life" that are radically inclusive and that make room for people of all ages, colors, orientation, gender, class, etc. As part of my sabbatical year in 2005-06, I volunteered to work on the design of a web site for Centre International St. Joseph. My main contribution was to learn the PHP/MySQL coding needed to build an administrative interface so that the staff can add/edit content without any background in web site development. The web site is at www.centreinternationalssj.org I have since worked with the Sisters of St. Joseph in Lyon, France to set up a web site for their use (2010). During my sabbatical, I traveled to France to train the staff on how to use the admin interface and to make other adjustments based on their feedback. After about 3 full days of hard work, I was able to let go of the project temporarily to make a directed retreat. The retreat was also something of a pilgrimage, walking the same streets to the same destinations as the first Sisters of St. Joseph back in the mid-17th century. I took a camera and digital camcorder along on some of my jaunts, and have put together some video clips and slide shows to give you a sense of what I experienced. Click here to see a listing. 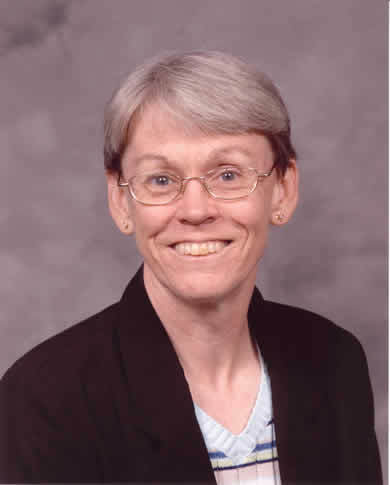 Sandra A. Yost, CSJ, Ph.D.